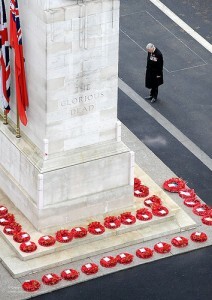 This Remembrance Sunday we will have the chance for twelve people to march past the Cenotaph on Whitehall again. 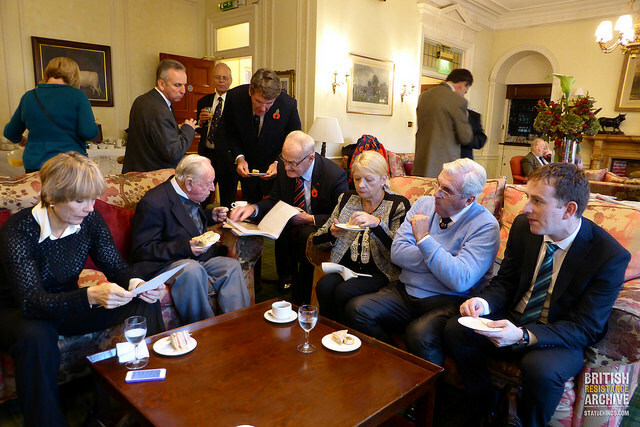 If you know of a surviving member of the Operational Patrols or the Special Duties Branch who would like to march or if you are related to one and would like the chance to be involved please email hq@coleshillhouse.com as soon as possible. See more here. 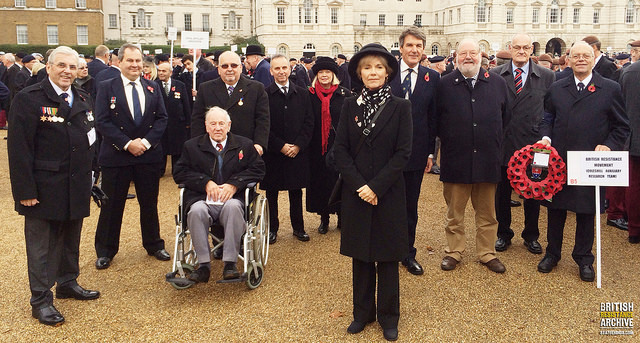 Yesterday an Auxilier and ten Aux relatives and researchers marched down Whitehall in London lead by Lucy Fleming, daughter of Kent Auxiliary Unit Intelligence Officer Captain Peter Fleming. This is only the second time that members of the British Resistance have taken part in the Remembrance day parade on London. 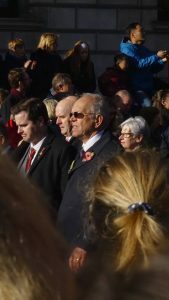 Auxilier Trevor Miners from Perranporth Patrol was the wreath bearer and marched for the second time with his two sons. An original Aux badge was donated to the group on the day by marcher Neil Bent. Neil’s father was the patrol leader of the Nerrols Farm Patrol in Somerset. The badge will now be sold to help raise funds for future outreach. See video and images of the day here or on our Facebook page. Next month we will be marching past the Cenotaph on Whitehall again on Remembrance Sunday. Auxilier Trevor Miners (seen above) will be carrying the wreath. Please do watch on TV and stand to remember the brave men and women of the British Resistance Movement. Also keep an eye on this page for any press or information updates. 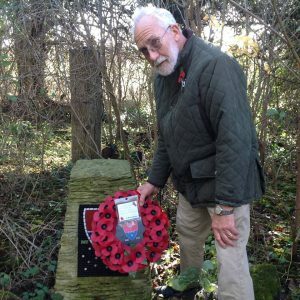 Representatives of the British Resistance will be marching this November at the Cenotaph for the first time. More on that here. 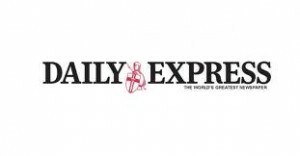 News of this has reached the Daily Express thanks to our very talented Press Officer, Andy Chatterton. They will be reporting on the proposed march and our research work this Saturday. Please do support the cause and buy a copy. Today marks a very important day for surviving members of the British Resistance movement. 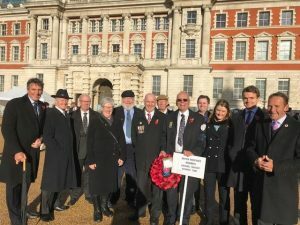 The Royal British Legion confirmed that 12 members of the Auxiliary Units, Special Duties Branch and Scouts can march at the Cenotaph in November at the Remembrance Day Parade. This campaign was started many years ago by the Museum of the British Resistance Organisation but sadly at that time it did not result in any Auxiliers taking part. In 2011 this was looked at again by members of CART and after some campaigning by CIO Andy Gwynne and some national press attention the RBL have kindly granted permission for CART to assemble 12 people to march. A page has been set up with more information so please do bookmark it and check back for updates. A big thank you to all who wrote in, promoted online and commented via social media. Your support and help now means these brave men and women have the chance to gain the recognition they so desperately deserve. Each year the Home Guard and Bevin Boys are represented on Remembrance Sunday and march past the Cenotaph on Whitehall. CART feels strongly that members of the British Resistance should also be represented separately to the Home Guard. The British Legion have said they would welcome a letter from CART informing them about our proposal and why we feel the Auxiliers and members of the SDS should be remembered. We would ask you all to write a short email outlining why you feel the Aux Units should be remembered. An example of this letter can be seen below. Please use it as a template to expand on rather than copying and pasting it. 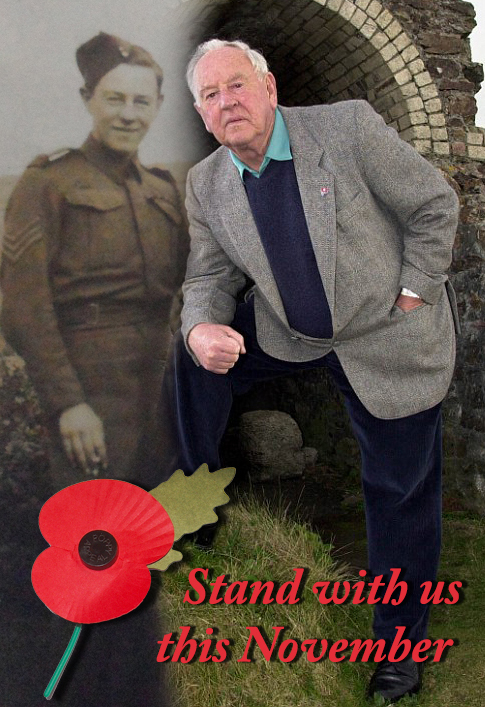 Mr.Alan G Purdie, The Royal British Legion, c/o British Resistance Archive Cenotaph Campaign. I write on behalf of all of the Auxiliers and members of the British Resistance movement who are not able to speak for themselves. 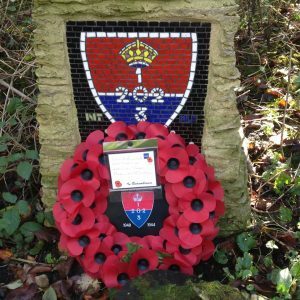 A campaign has begun to help recognise the British Resistance (Auxiliary Units) and Auxiliers at the Cenotaph each November just as the Bevin Boys and Home Guard are remembered. The Auxiliary Units played a major part in the Second World War on the Home Front just as much as any other Branch, Regiment or Service. To this day they remain unrecognised by the Government due to the secret nature of their work. 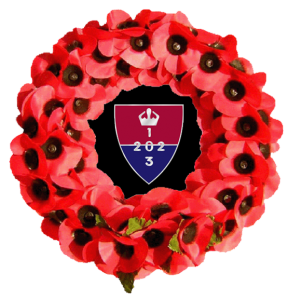 So, I write to you on behalf of all those who served in the Auxiliary Units and wider British Resistance to ask for your support with this campaign and to allow a select group of surviving Auxiliers and their relatives to march each year at the Cenotaph. We will then forward all letters to the British Legion along with one from the right honourable Justin Tomlinson MP. If you would like to march next year please also indicate this to us on a separate piece of paper along with all your contact details. Thanks to Thomas Williamson for the first draft of the letter.